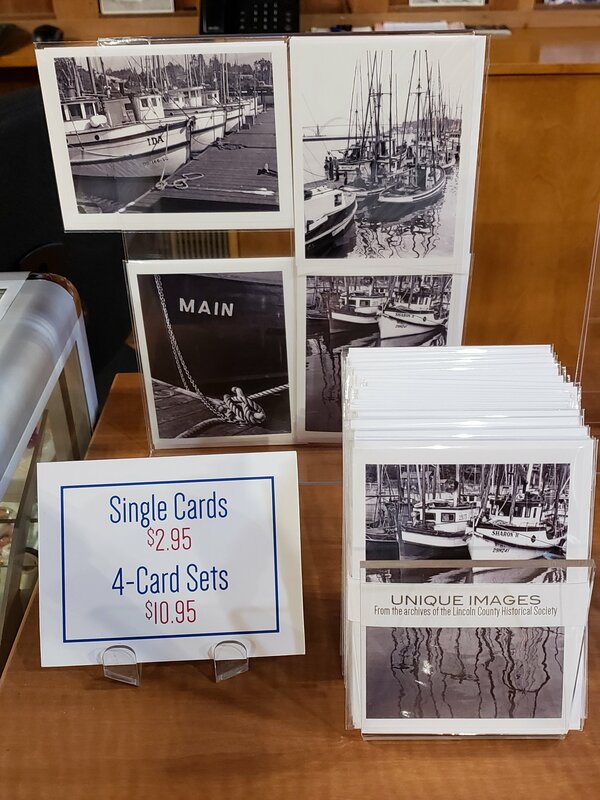 The Lincoln County Historical Society is hosting a retrospective of Joyce Gaffin’s original maritime work at the Pacific Maritime Heritage Center from March 3rd to September 4th, 2016. Many of the thirty works in this exhibit were lent to the Historical Society by private parties and collectors and have never been publicly exhibited. An opening reception will be held at the Maritime Center on Newport’s historic bayfront, Friday, March 11th from 5:00 to 7:00 pm. Admission to this special event is free for Historical Society members and $5 for non-members. The artist will be present and refreshments will be served. Joyce Gaffin settled in Newport, Oregon in 1973, and began her career as a professional watercolorist on the docks where she painted commissioned works of commercial fishing boats at the Port of Newport and up and down the Pacific Coast. Gaffin continued to paint and exhibit her work throughout the Northwest during the 80s, 90s and 2000s up to the present. She taught watercolor workshops sponsored by the Oregon Coast Council for the Arts in Newport until 1995 and private plein aire classes for the following 10 years. She has taught art classes for children and adults through the Hatfield Marine Science Center, and classes for educators through the Lincoln County School District. Before coming to Newport she studied watercolor at the Cleveland Institute of Art and graphic arts at the University of Cincinnati, and received a Bachelor of Science degree in Visual Design from the Institute of Design at Illinois Institute of Technology in Chicago.